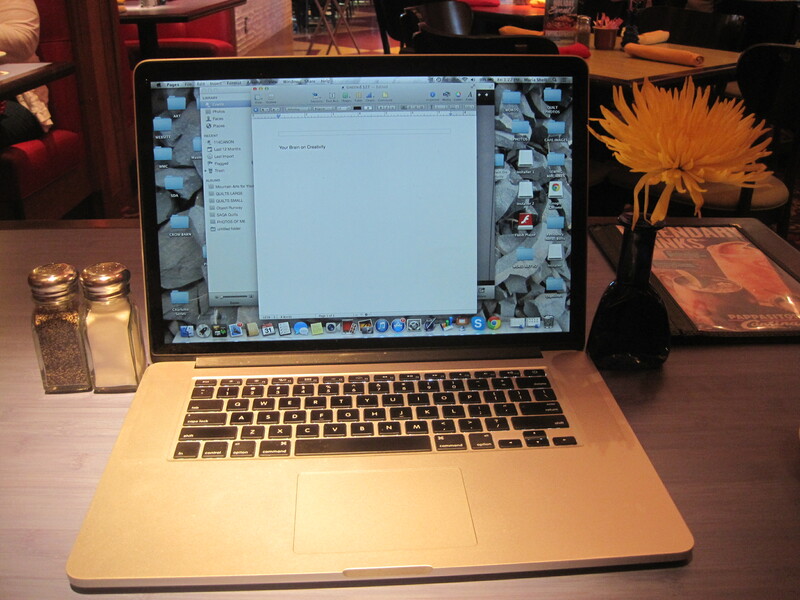 Today, I’m blogging from a restaurant newly located inside the Hilton. 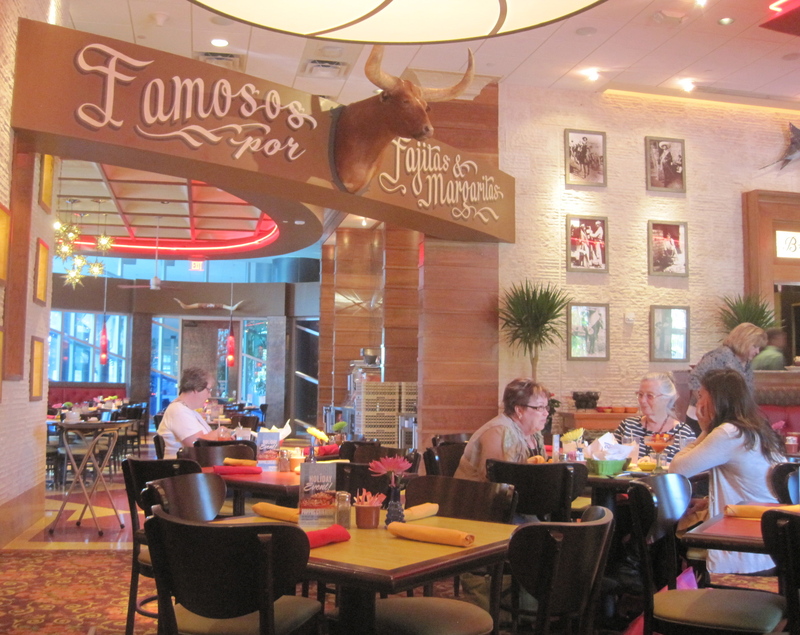 It’s a Texas chain called Pappasito’s Cantina. Food plus free internet is my new MO. Yesterday started with an ephinany class. Yes. I had an AHHA moment thanks to Suzie Monday and her class Your Brain on Creativity. 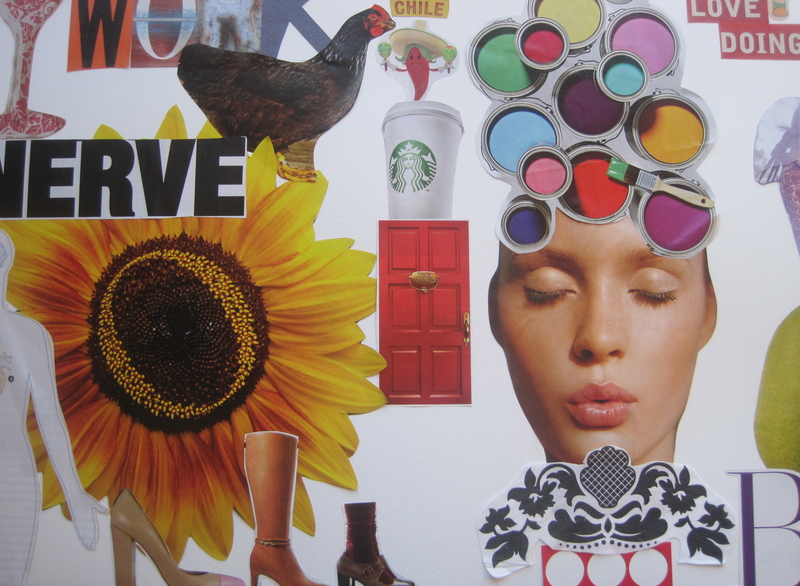 For years, I’ve wanted to make paper collages, but for some reason, I never gave my self the time or permission to do so. 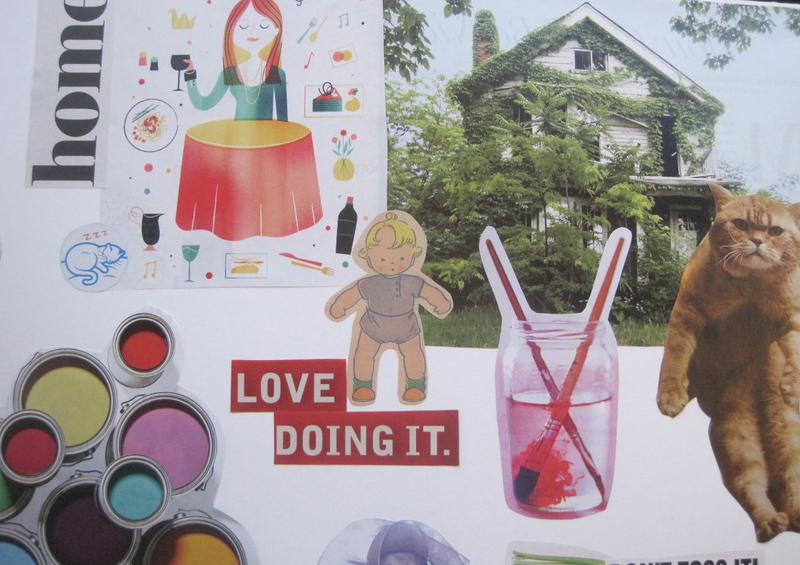 I’m really not interested in making fabric collage, but, who knows, that could change. 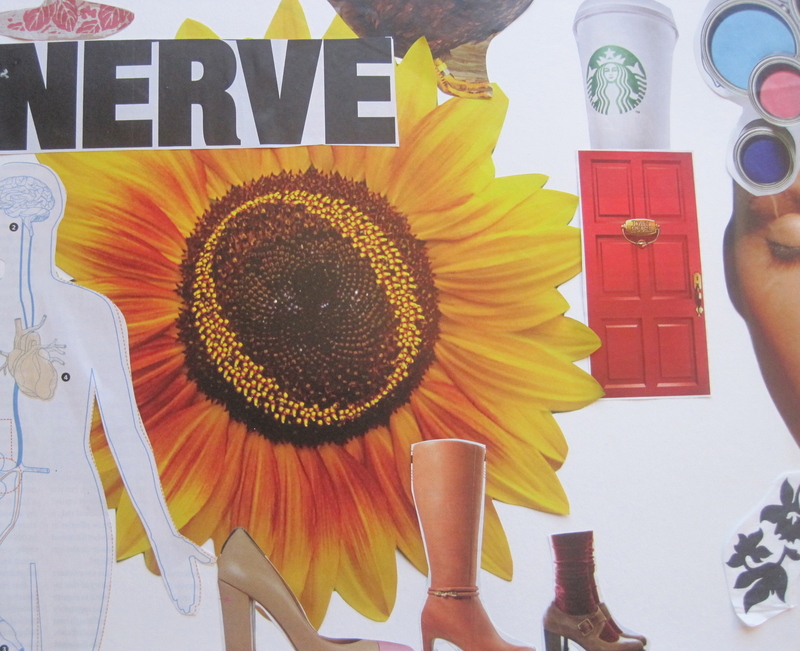 What I really want is to use found paper, cut it up, and glue it down. And that is exactly what I got to do in Suzie’s class. She lead us through a series of exercises meant to get us thinking about how we learn, what is meaningful to us, what our strongest memories are , what our history is and so on. We were encouraged to fill an entire page with these ideas–using pencils, pen, paper, and fabric. I went straight for the paper and began cutting. Part of me completely blacked during the process. I know that might sound weird, but it was actually really great. I was so thrilled to be cutting and gluing; I can’t remember what Suzie asked us to do with the lower quadrants of the paper. I know my work is very rudimentary, still I love it. I did it. 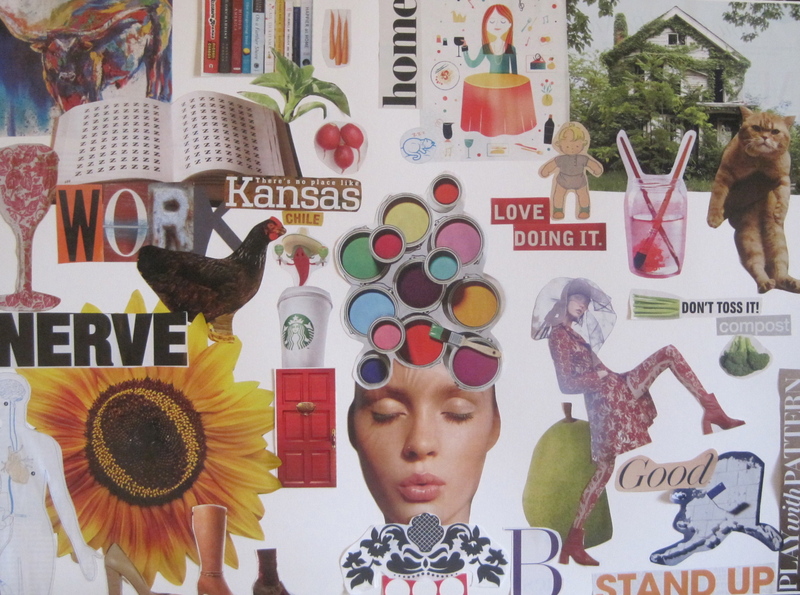 I finished a collage. 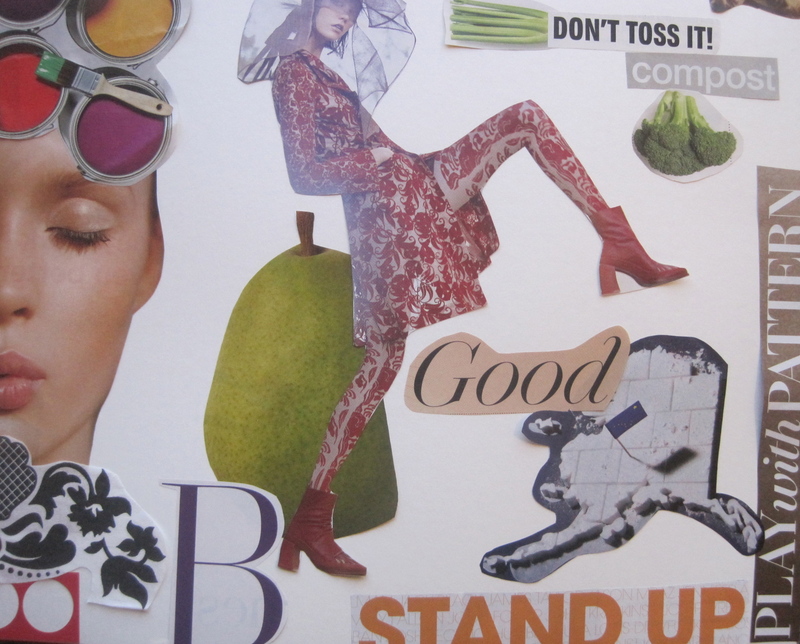 I’m taking a second collage class on Saturday. I know it seems a bit strange to travel to the International Quilt Festival to play with paper, but sometimes it just happens like that. 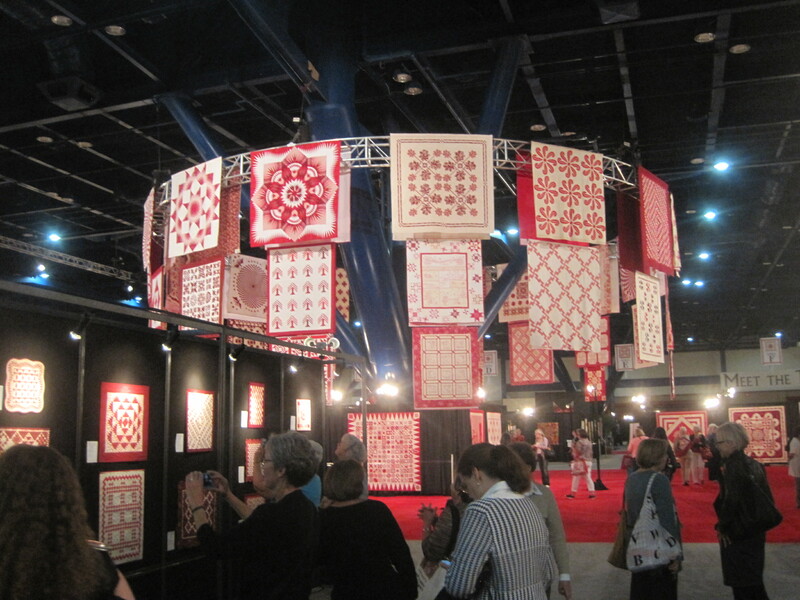 As I mentioned yesterday, the center piece of this year’s exhibition space is a spectacular display of red and white quilts. The signage explains the story behind the exhibit. I remember reading about the Armory exhibit. It is incredible to see a re-enactment of that show in person. 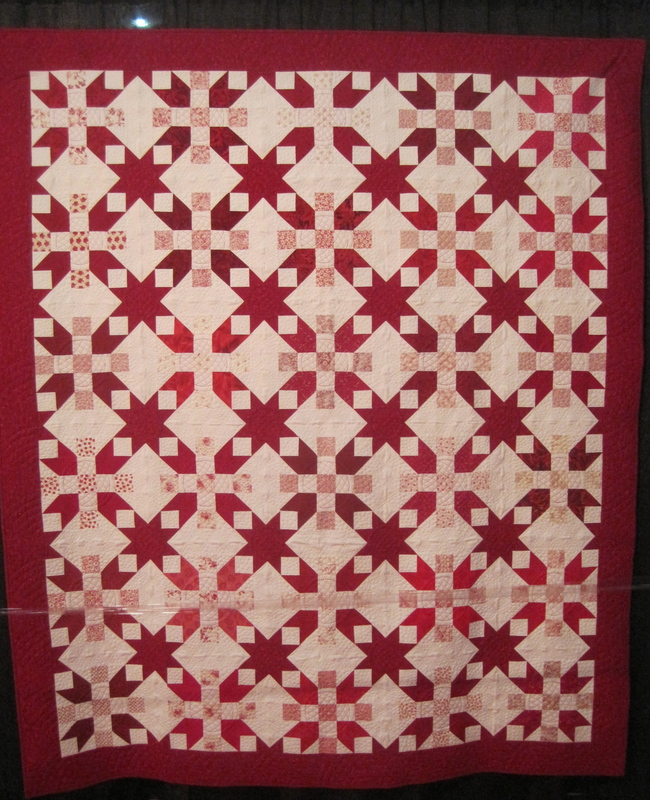 I am partial to the traditional pieced patterns. There is something so modern about two colored quilts. I suppose it is the graphic POW of it all. 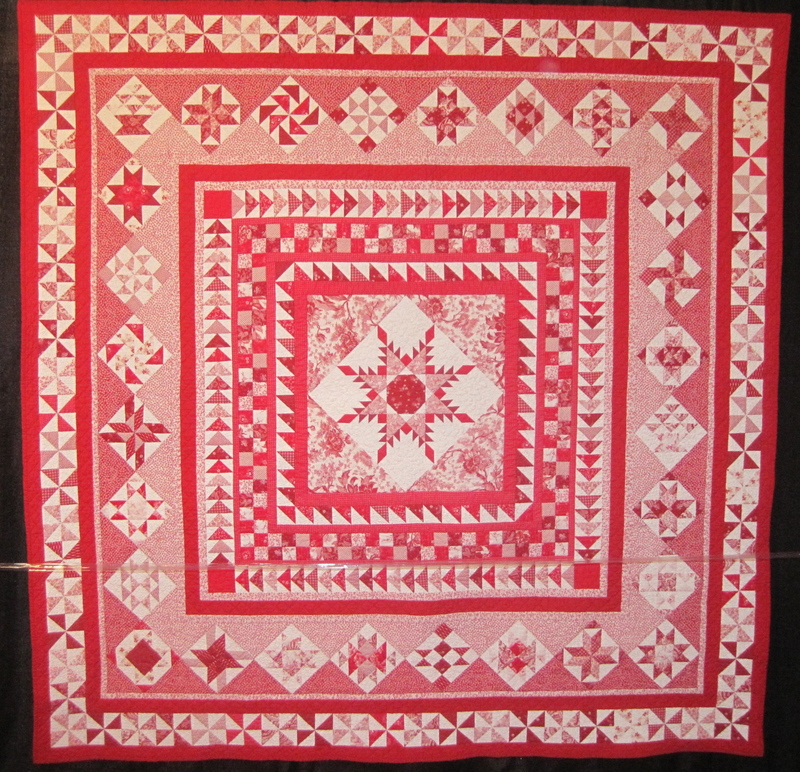 Every time I see a medallion quilt, I want to make one. 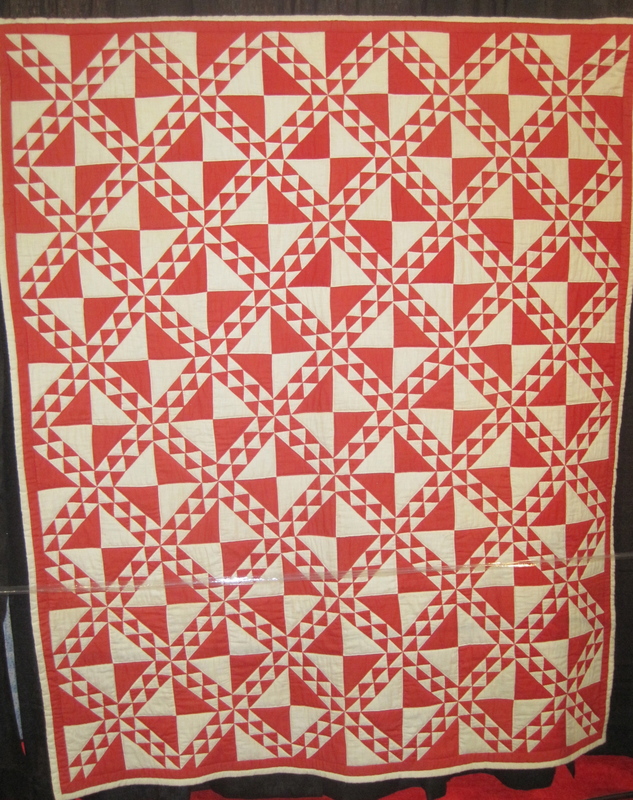 These quilts really bring me back to why I started down this road. They are art, and they are quilts. The suspended quilts are AMAZING. Okay. Tomorrow I will tell you about today. In the meantime, I feel a bit like Hunter S. Thompson in Las Vegas. Perhaps it is the tequila. 31 Oct	This entry was published on October 31, 2014 at 3:21 PM. 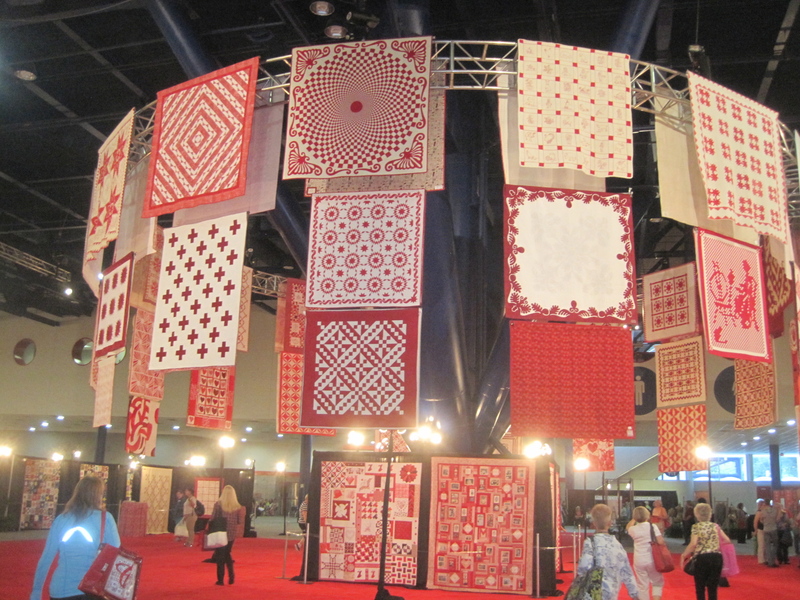 It’s filed under Just Plain Stories, News And Events and tagged International Quilt Festival. Bookmark the permalink. Follow any comments here with the RSS feed for this post. 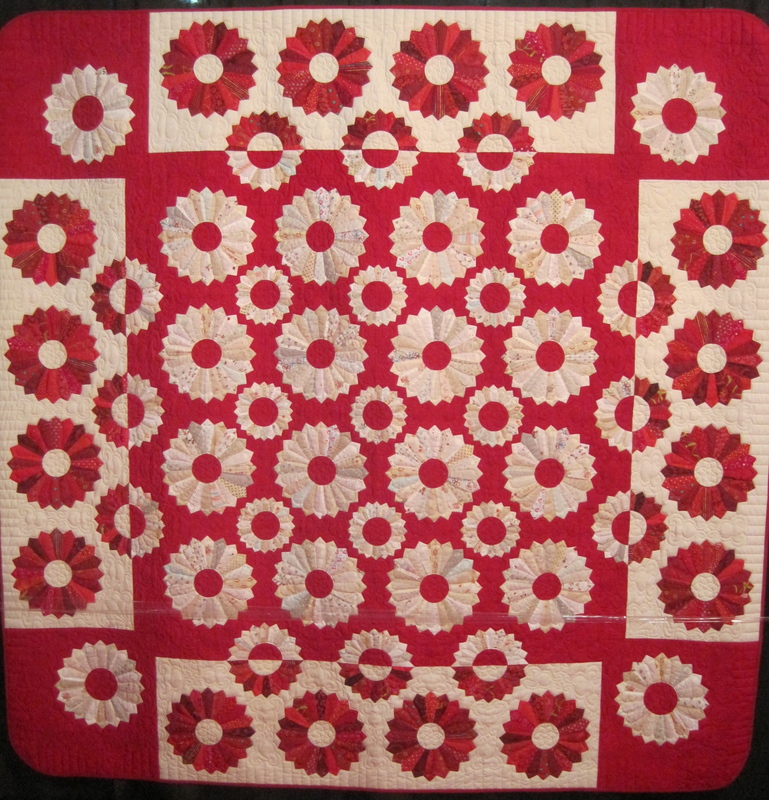 I think the medallion quilt is totally you! I love your collage. Wonder where that will lead??? Who knows! It’s kind of like Zentangles for you. We have just got to trust the process. Thank you Nysha for stopping by and commenting. 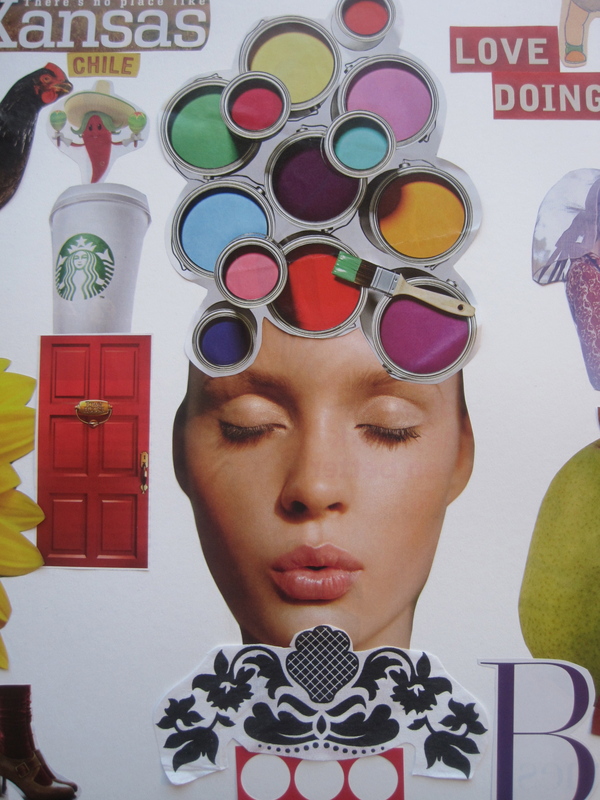 It’s so interesting to hear that you’re exploring paper collage by way of quilting. I’ve migrated to quilting by way of paper collage. I expect in the end I’ll come full circle back to paper, but with so many media and a creative heart the full circle path will be full of wonder and self discovery. 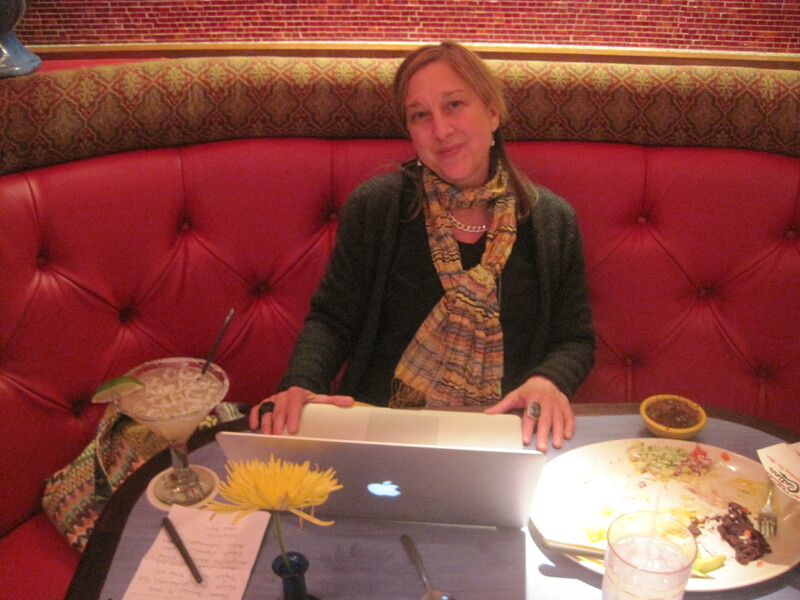 Enjoy the paper….and the tequila!! Orale!! Maria- Thank you for sharing that. It is so true that we need to just trust the creative process and enjoy the journey. Thank you for stopping by! 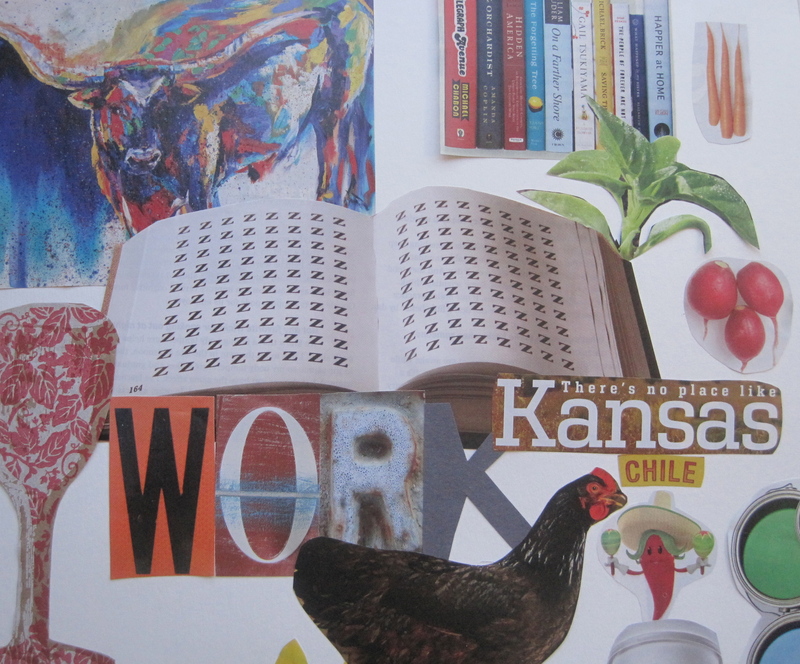 Paper collaging is the process that I use to make my quilts. This is totally my style and I love it! Kathy- thank you for sharing that. 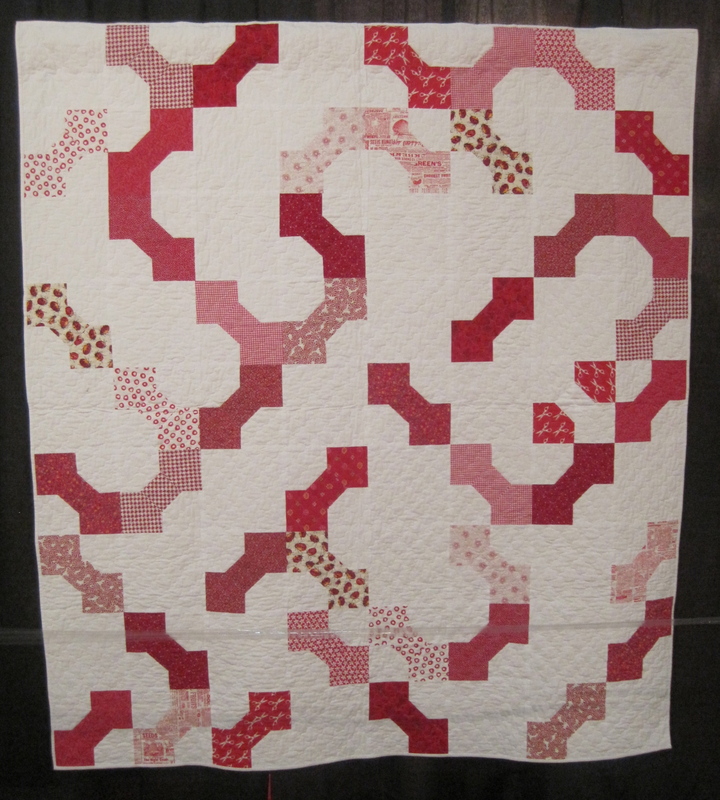 I can see how this process really works in your quilts! Are you teaching there? You are sounding very inspired.It will be fun to see what comes out of all your travels. 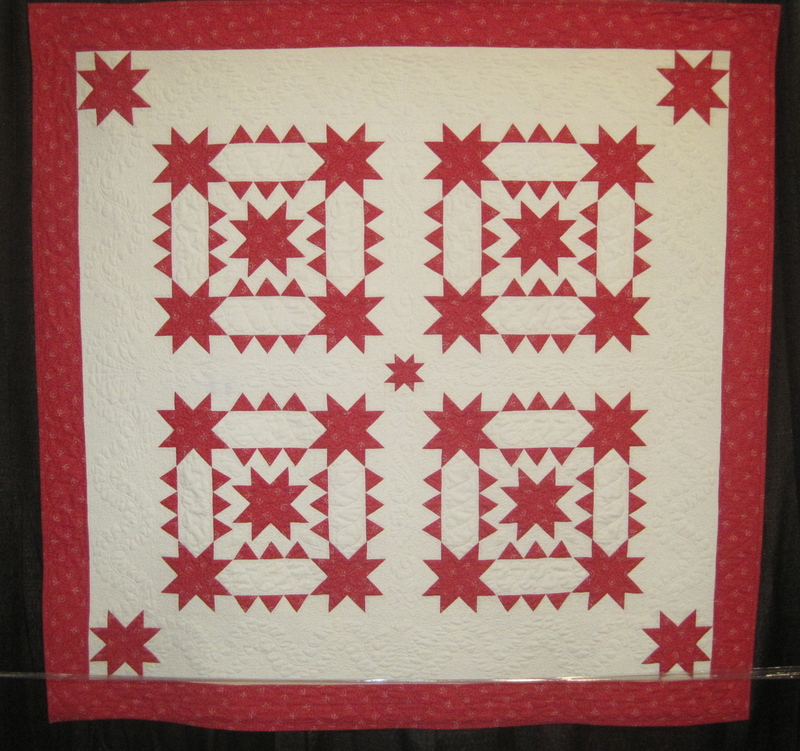 Love the red and white quilts.Enjoy the rest of the show.Looking forward to seeing how your community quilt turned out. Sue- I am not teaching, but I am learning ALOT. Its been a very good trip. Are you familiar with “red work “embroidery? Google it. Some of it is really beautiful. I love red work. If only I loved handwork. It is beautiful.